Prime Minister David Cameron’s lurch from liberal-minded, progressive leader of a new Conservative Party to reactionary little Englander blaming everything on foreigners continues apace. Under pressure from his own backbenchers and from voters defecting to UKIP, he has announced new measures to curb immigrants’ rights to benefits. Cameron has asked ministers to look at ways of closing "loopholes" in the tax and benefits system in an attempt to prevent new arrivals in Britain from relying on benefits. "Our message is very clear," he said. "We want immigration that will benefit Britain. That is why we are going through, in fine detail, our benefits system, our tax system, our health system, our housing system, every aspect of our welfare system." The first step would be limiting legal aid to non-nationals to discourage claims in cases concerning housing and benefits. 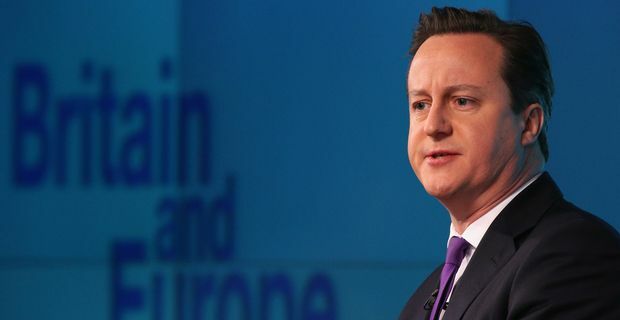 Cameron is aware that attempting any overhaul of the benefits system to discriminate against foreigners might bring the UK up against EU legislation. That may be a battle he relishes, given his belligerent stance on Europe, but it’s more likely he will settle for a few headline-grabbing gestures. "I think the most important thing is to make sure that while you have free movement you are not a soft touch," Cameron said, showing his PR man’s understanding of the sort of catchphrases that play well with the tabloids. Civil servants are likely to highlight the areas where benefits changes might be likely to come into conflict with EU agreements. Cameron told ministers to disregard advice. "Tear up your departmental brief," he said. "I’m not interested in what you were told to say when you came to this meeting; rip it up, think like a Conservative and make sure you’re really doing what is necessary to ask the difficult questions in your department."